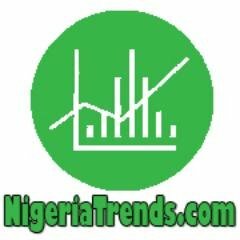 NigeriaTrends.com — Ex-Most Beautiful Girl In Nigeria, Sandra Petgrave and her husband Chinedu George Chukwuka, have been sentenced in the District Court of Georgia for their involvement in a mortgage fraud in the U.S that caused banks a loss of over $5.8 million; NigeriaTrends.com have gathered. This breaking news is currently trending in Nigerian media. Sandra Petgrave who won The Most Beautiful Girl In Nigeria beauty pageant in 1992, was sentenced to one year, six months in prison after pleading guilty on August 18, 2015. Her sentencing is to be followed by three years of supervised release, and ordered to pay restitution in the amount of $1,051,970.77. Meanwhile, her husband Chinedu George Chukwuka was sentenced to serve nine years in prison to be followed by three years of supervised release, and ordered to pay restitution in the amount of $5.8 million. Chukwuka was convicted of conspiracy to commit wire fraud on August 10, 2015, after he pleaded guilty. Sandra Petgrave and her husband Chinedu George Chukwuka, have six children together in the United States. Most Beautiful Girl In Nigeria 1992, Sandra Petgrave and her husband, George Chukwuka, have been sentenced to jail in the US for their roles in a $5.8 million mortgage fraud that spanned 5 years. Sandra and Chiedu have six children together. Sandra Petgrave – Former Most Beautiful Girl In Nigeria, 1992. Sandra and her husband have six children together. What’s your reaction to this trend?